I finished the first sock. 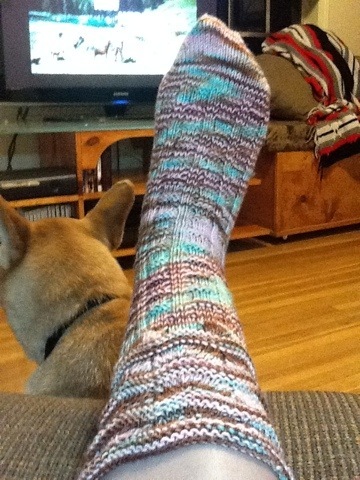 Pattern is Kaywinnit by Glenna C. Yarn is Socks That Rock lightweight in I Love What You’re Wearing. I am about to start another Glenna C. pattern, Viper Pilots, for a Yule gift. 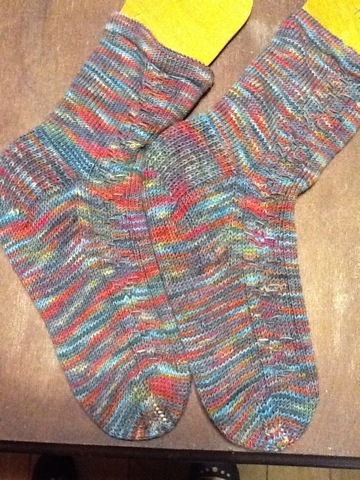 Which means that the second sock for this pair may not happen until January. October 1 starts the gift knitting and the only thing I am allowing myself is the September Rockin Sock Club kit when it arrives next week. Hopefully it will be that cool. Otherwise I guess I will finish these. Not a bad prospect. 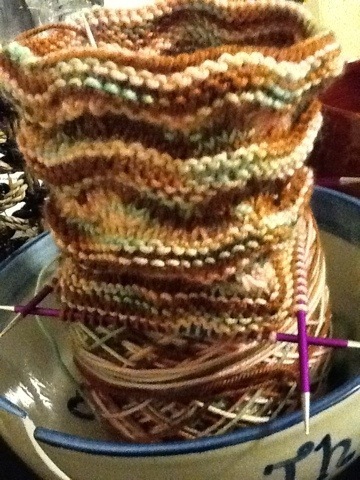 Current sock. Hope to get a lot more done this weekend.